Unfortunately, while there are programs designed to help veterans, taking advantage of these programs can sometimes be difficult. The Veterans’ Administration is known for outdated technology and an entrenched bureaucracy which can make it hard for vets to get the full benefits that they deserve. What kinds of veterans’ benefits are you entitled to receive? What is the process of getting veterans’ benefits? How can a New Hampshire and Massachusetts veterans’ benefits lawyer help you? Aid & Attendance: This is an increase in a military pension for former service members who are bedridden, limited in ability to do daily activities, and /or in need of nursing care. Medical foster care: This option is available for vets who need temporary help with a health issue. It is possible to get this help within your community. Home and community based nursing care: There are a wide variety of options for those who need care, including health aides, adult daycare programs, and both VA and community nursing homes. Caregiver respite services: These services, which provide a break from caregiving duties, can be important to a family member who is providing aid to someone with high medical needs. Hospice care: Hospice is focused on providing a peaceful end-of-life transition and supporting patients and families. This is far from a comprehensive list, and it is important to understand that program availability can vary. You should talk with an attorney to create a personalized plan for obtaining the veterans’ benefits that should be available to you. What is the Process of Getting Veterans Benefits? The process of getting veterans’ benefits can vary depending upon the type of benefits you are interested in receiving. 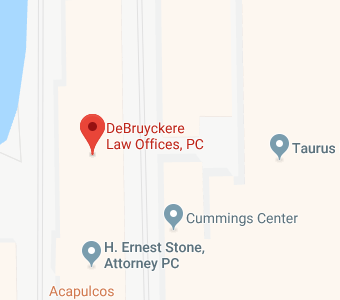 When you come and speak with DeBruyckere Law Offices, we begin by discussing your service history, your medical needs, your health and financial situation, and your family situation. With an understanding of your past and of your future goals, we identify all of the different services that should be available to you through the VA.
Our legal team then begins the process of helping you get the benefits that you have identified as eligible for. We work with you to obtain and complete applications, to provide necessary documentation, and to follow up on the process of your application for benefits. If you are denied any benefits you should receive, we also guide you though the entirety of the appeals process. The hope is that by the time our work is complete, you will be able to take advantage of a full array of financial assistance options and community aid programs that give you and your loved ones the very best quality of life. We won’t rest until you have the benefits you have earned by serving your country. How can a New Hampshire and Massachusetts Veterans Benefits Lawyer Help You? DeBruyckere Law Offices is committed to helping make sure every military member and his or her family is provided with the full measure of benefits available. Our legal team cares deeply about the veterans within our communities in the Greater Merrimack Valley and Southern NH areas. We have decades of collective experience helping veterans in these locations and surrounding areas to identify benefits available to them and to take advantage of programs and services that improve their lives. From our offices in Beverly, North Andover, and Woburn, Massachusetts, as well as Nashua and Londonderry, New Hampshire, our firm has helped many veterans to successfully navigate the VA benefit system. We are ready and waiting to help you and your family. To learn more about the assistance that we can offer, give us a call or contact us online today.